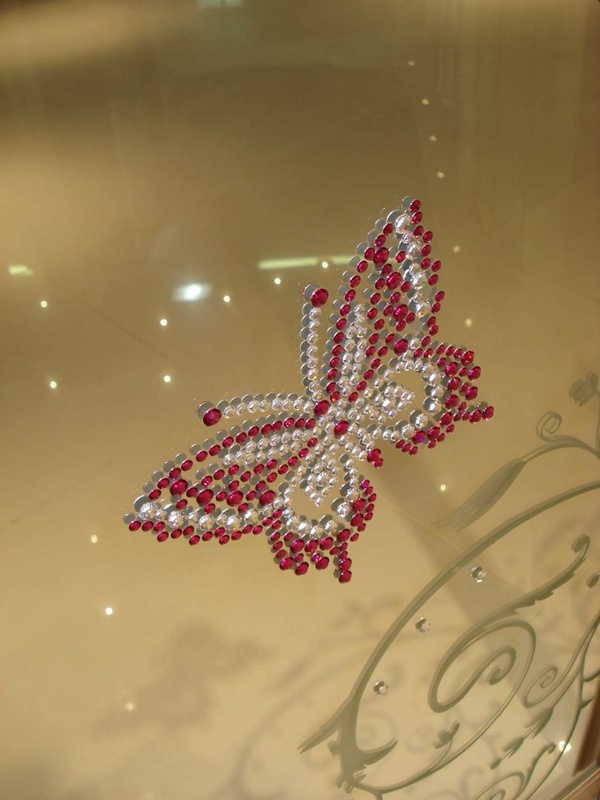 It often happens that any shop is a good thing to all but finish, for example, has an excessive amount of the crystals, in this case, it makes sense these rhinestones to remove. The case is not simple. These tips will need and novice seamstresses, because it happens that the decor falls into place and it also have to be removed. Fashion traceless removal of the crystals does not exist. Usually rhinestones trace remains of the adhesive base. If the clothes used thermo-crystals, it is possible following removal. You need to buy a special soldering iron for rhinestones and heat it to the melting temperature of the adhesive. Then gently heat the crystal, with melt adhesive to the base, and carefully remove the rhinestone with tweezers. In any case, do not take the crystal with his hands, as severe burns while guaranteed. This option removal of the crystals has a significant drawback consisting in the fact that the glue will still be on the clothes, leaving an undesirable mark. To use this method in case of replacement of the crystal. Usually this happens when the crystals are dull, cracked and should be replaced by more attractive or need to change the color of the finish. Use white spirit. Apply the liquid on the wrong side of the fabric exactly at the attachment of the rhinestones. Wait a minute and gently otdelnie crystal. Please note! Be sure to test the fabric for resistance to solvent. White spirit is aggressive, can try gasoline from Zippo lighters(original quality). Try to heat the garment adhesive, which attached the rhinestones with a hot iron. Do this also on the reverse side and use cheesecloth and a thin cloth so as not to burn the product. The glue hardens quickly, so OTDELENIE rhinestones, heat or again otmachivat. In contrast to the hot iron, you can use the source of cold. For example, put the product for 30 minutes in the freezer, and then a sharp object remove the crystals. If not be the first time, the method is not suitable. Frost destroyed only resinous adhesive, it is used in poor quality Chinese crystals. Glue stains can bring out the professional cleaners. At home experiment is not recommended – give clothes to the dry cleaners.